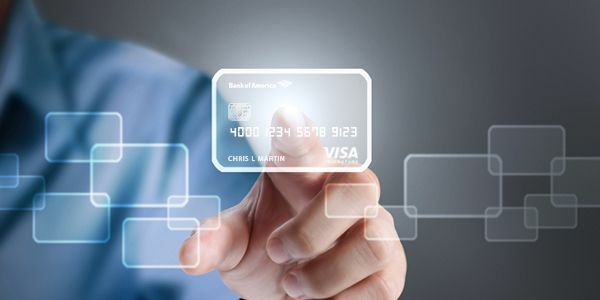 Virtual credit cards have become quite popular these days. Read to know if you should use them for safer online transactions! Credit cards are both useful and dangerous. Not only because of the huge debts these cards can bring into our lives, but also the question of privacy and security breach! Day by day we have started to use credit cards for more online purchases than normal physical market purchases! Even though buying goods online is a convenient way to save time and money, it has many privacy related issues. This is the sole reason why people have started to turn their heads toward virtual credit cards! A hacker or a cyber thief can easily trace your transaction details from a website and get their hands on your credit card number. Now that means, they can drag out any amount of money they want from your credit card, which might even get you bankrupt! So, if you use a virtual credit card, then you are not disclosing the details of your original credit cards during the time of transaction! You should understand that virtual credit cards are not something you can touch or see. It is, as the name suggests, virtual! What information or what costliest detail is being held by your credit card? It is the credit card number! Hence, if you are worried about your card being stolen, it’s the credit card number that you should be worried about. Imagine how happy you would be if you could generate virtual numbers every time you want to initiate a transaction with your credit card. This is exactly what the virtual credit card will do! If you activate \the virtual credit card service, then every time you purchase anything online, a new random number will be generated by your credit card servicer, and the whole transaction will take place with the help of this number! The whole process is interesting. This random code will access the money from your existing credit card and will not allow any other third party trying to access details or money on your real credit card! What information is stored in your credit card and why should you be aware of them? Your credit card has a chip or a magnetic stripe on its back. That chip or stripe contains vital information about you. You can pretty well see that’s enough for anyone to hack into your bank account and start doing transactions in your name. Even though typically a bank might charge you some $50 for any unauthorized transactions done with your card, still you should not take any chances. The hacker and the security breachers are pretty smart to use your card only with the help of the account number and service codes! So, you should take all measures to hold your credit card information tight and use a Virtual Credit Card number whenever possible! Most of the banks are now rolling over virtual credit cards to their customers at a minimum or no charge. You can also check out other third party VCC providers, like Entropay, Payoneer, Mask Me, and others. If you Google the names, there are many such VCC providers that can help you out. There are other apps too, that functions the same way. The examples are Apple Pay or Paypal. If you have been an user of these apps, then you have already started to be smart and are avoiding direct exposure of your credit cards! still here are a few drawbacks of VCC you must keep in mind. Also know how to combat these drawbacks to some extent. Before you register for any virtual credit card from some third party servicer, always look for the authentic ones. Best way to know one is by checking out how popular this service provider is! If you plan to regenerate a VCC every time you are doing a purchase, then it can become a bit time consuming! Most of the time, there’s a certain charge you have to pay for using a VCC. Typically it counters for 4.5% of the total purchase cost! Since your actual card details are presented falsified to the seller or merchant, getting a refund or exchange might get a bit troublesome! It is always said that the best way to protect your credit cards from cyber theft, frauds and hacks, is using a VCC, still you must be careful! Never disclose your card details to any unknown person or on any unpopular or unauthorized websites!